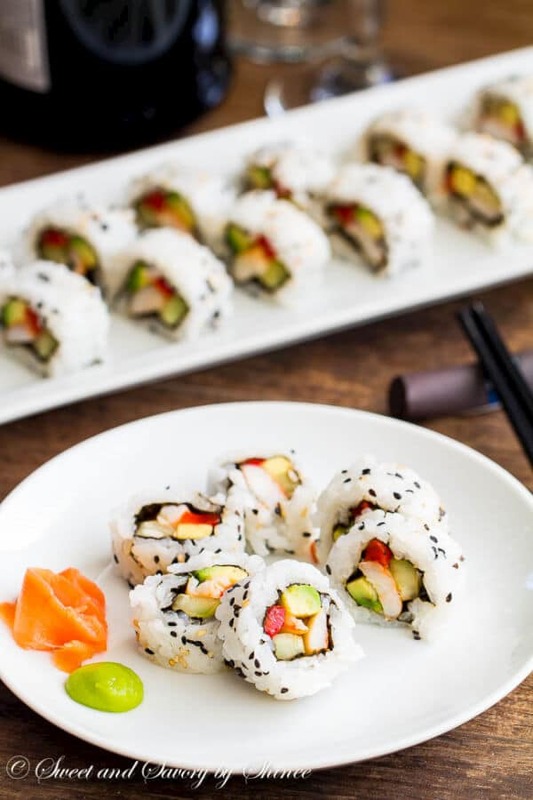 Simple, homemade and fully cooked sushi rolls are delicious and easier than you think. When we were in the hospital waiting for test results, I couldn’t help but think how my day was going completely not the way I had planned. I was supposed to be photo shooting sushi rolls, testing 3 new recipes, and doing dishes, you know. I’m a huge planner, and I don’t like unexpected changes. But this incident was a great reminder not to take things for granted, be grateful for simple stuff and take it easy once in a while. And fast forward a few weeks, here I am with a new batch of sushi rolls to share with you. 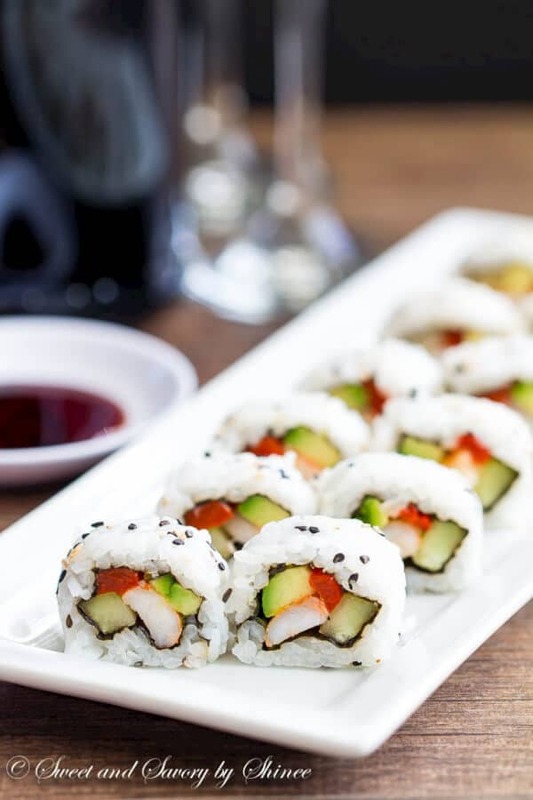 Whether you’re an avid sushi lover, or the one who prefer cooked seafood over raw fish, or even a vegetarian, you can make your own homemade sushi rolls that suit your taste. You can fill your sushi rolls with whatever your heart desires. Veggies like cucumbers, avocado, bell peppers, thinly sliced carrots are great. Keep it all veggies, or add your favorite seafood. 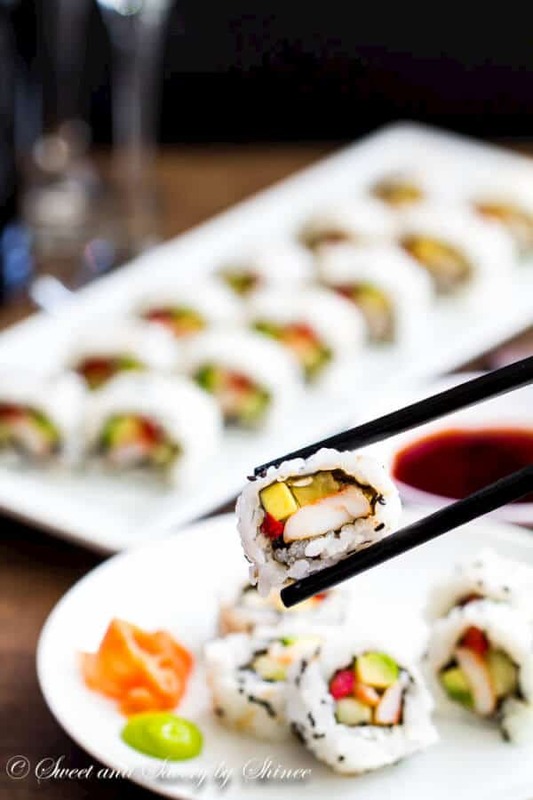 Sushi rolls are not just for seafood lovers. Since I love seafood, but live in the middle of nowhere with no access to sushi grade seafood, I simply make my sushi rolls with cooked shrimp, smoked salmon, or cooked crab. See, the filling is fully customizable! Short grain Japanese style sushi rice– I can never find sushi rice in our grocery store, so I buy mine on Amazon. Quick and easy! Sushi mat– You absolutely have to have a sushi mat to roll your sushi rolls. It really helps to form tight and neat rolls, plus it’s just $2, so it doesn’t break the bank! Seaweed sheets/Nori– I bought mine at an Asian market a while back. They are not just for making sushi rolls, you can totally snack on it or serve it with plain rice. Rice vinegar– It’s essential to flavor your sushi rice. You can find it in your local grocery store in Asian food isle. Once you obtain these essentials, you can make sushi rolls however you want and whenever you want in the comfort of your own home. They are so much fun to make, beautiful to present and delicious to eat. I hope you found an inspiration to make your version of sushi rolls soon. Cheers! 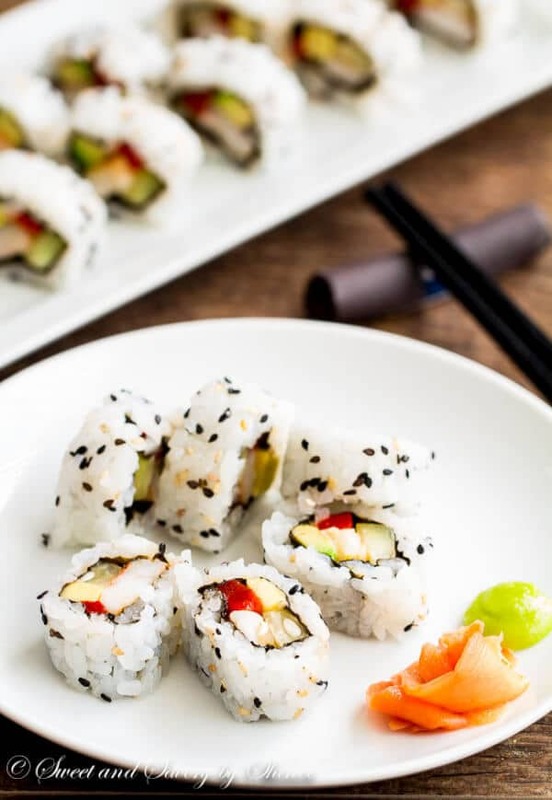 Simple, homemade and fully cooked, these sushi rolls are delicious and easier than you think. Wash the rice in a mesh sieve under running water until water runs clear. (This helps to get rid of the excess starch and makes nice and fluffy rice. So don’t skip this step.) Place the rice in a large heavy-bottomed pot and add about 2.5 cups of cold water. Cover and bring it to a boil over high heat. Once boiled, reduce the heat to medium low and cook for 10 minutes still covered. Then turn the heat off and let it sit for another 10 minutes. Don’t remove the cover while the rice is cooking. While rice is cooking, mix together rice vinegar, sugar and salt in a small dish. Set aside. Once the rice is fully cooked, transfer it into a large bowl and add the rice vinegar mixture. Using a wooden spoon or a spatula, gently fold the rice to evenly spread the seasoning. Let it to cool to room temperature. Meanwhile, cut the seaweed sheets in half. Cut the shrimp in half lengthwise. And finally cut the cucumber, avocado and red bell pepper into thin long strips. Prepare a bowl of cold water to dip your fingers to keep them wet when you handle the rice. 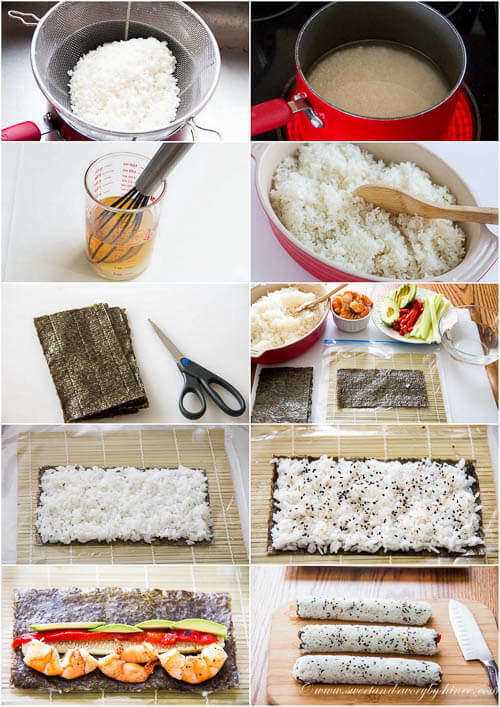 Place the sushi mat in a large ziplock bag to prevent the rice sticking to the mat. Arrange everything around the work area. Place the seaweed sheet rough side up on the prepared sushi mat and evenly spread about ½ cup of sushi rice on it with wet hands. Sprinkle the sesame seeds, if using, and flip it rice side down. Place the filling on the nearest end of the seaweed sheet. To roll, hold the sushi mat with the seaweed sheet and roll it over the filling, slightly pushing the filling with your fingertips. 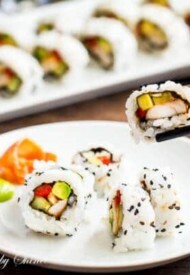 Slightly squeeze to make a tight roll, pull on the edge of the sushi mat and continue rolling. Give another squeeze to make an even roll. To cut the rolls, dip a very sharp knife in water and cut the roll in one motion. Serve with soy sauce and wasabi for dipping. Sure thing. Thank you, Tianna! I love sushi Shinee and your homemade sushi rolls look delicious! I love your step by step photos and glad your son is ok! 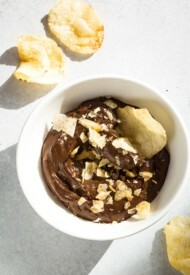 I have featured your recipe via last week’s Say Gday party! Pinned and shared and hope to see you on Saturday! It was my husband who got sick. 🙂 Thank you, Joanne! I am so excited I found this!!! I love sushi but had no idea how to make it. It always looks so complex – – it was a “go to” for a special treat. You make it look simple and kind of fun:) I will be making these very soon. Thanks for sharing!!! You’ll have ton of fun making your own sushi rolls, Teresa! Hope you try this soon. Thank you for stopping by! Ooh yum!! My hubby and I love sushi but we don’t always have the money to go out – so great to know we can make it at home! Thanks for the recipe! Pinning! You’re welcome, Erica! Have fun making these sushi rolls at home! They are lots of fun. Oh yeah, tempura sushi rolls rock! Maybe one day I’ll share the recipe. They get soggy so quick, I never able to shoot them fast enough. And cream cheese is another great addition. 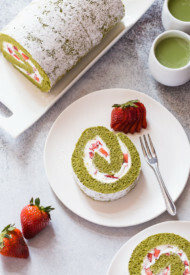 Philadelphia roll is one of my favorites! Lovely photography and easy instructions, thank you! I like your tips on making an inside out roll, I’m going to try this soon. I am going to learn sushi in 2015! Thanks for the motivation; our family loves it but my boys eat so much it’s hard to eat it at restaurants or takeout! Yeah, it gets expensive pretty quick, doesn’t it? Hope you give this a try. Thanks for stopping by, Valerie. I’m not a huge fan of sushi but these look amazing! I love sushi, and could live on it. I actually got a sushi making kit one year and never did it. This has inspired me to attempt my own! Looks soooo good! Miranda, sounds familiar. It took me a while to use mine as well. 🙂 Hope you’ll try them soon. Have fun. Nice, will try it in New Year holiday. Thank you, JiaYin! You’re very sweet. Hope you enjoyed making sushi rolls. 🙂 Happy New Year! Shinee, I approve!! Being of Japanese background, my mum has taught me the “proper” way to make sushi and she would give you full marks for these! Love the flavour combo, LOVE this style with the “nori” (seaweed sheets) inside the rice (PS I think you left that off your ingredients list?). I wish I had these now! Nagi, that’s awesome! So happy that I made everything right. 🙂 Thanks for pointing out the missing nori. Just added it. I have always been too chicken to try sushi because I figured they all had raw fish. These look amazing –I think even I could get into these!